Just because Spring is near doesn’t mean you have to put away the pumpkin. 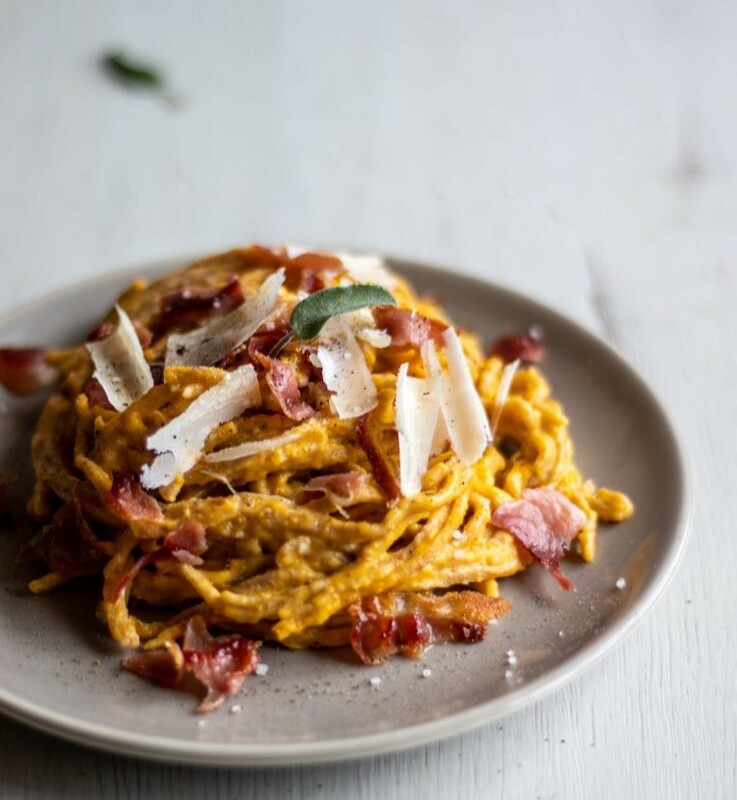 Jen Reviews makes a perfect blend of hearty and healthy with her Fresh Whole Wheat Sage Spaghetti with Creamy Pumpkin Sauce and Crispy Presunto. Read the full article to take a chance on this delicious recipe! ← Health Inspections – Is Your Pool Ready?